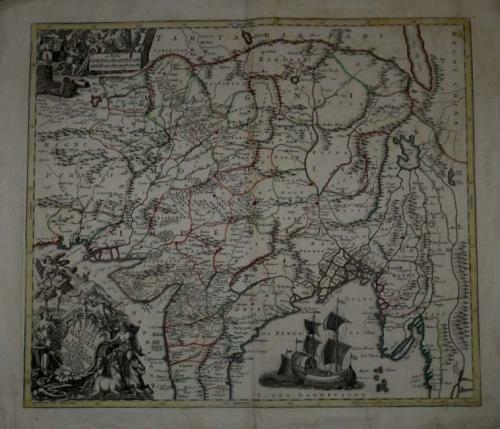 Title : Imperii Magni Mogolis sive Indici Padschach..
A map of the Mongol Empire, including present India (except the southern tip), Pakistan, Afghanistan, parts of Burma, etc. Decorated with two colored pictorial cartouches, a sailing ship and a fishing boat. Very good condition with wide margins, some small unobtrusive margin tears and minor toning.